We celebrated our Memorial Day today, and it was a fabulous day indeed. The weather was a bit cool, but it was so clear that you could see for miles and miles. The beauty of the world we live in was on show today. We started the morning at a farmer's market. It's been ongoing for a few decades, and yet somehow I just discovered it last year. I was further remiss for not even visiting it until today. I will be frequenting this place on Saturdays in the future because the amazing that goes on there is unfathomable. I'll also be selling our candles and dog collars there a few weeks this season, and am now anxious to debut our wares at such a large and happening venue. The downfall is that I most likely won't make any money with the selling of our wares. That's the problem with being surrounded by talented artisans. You end up spending your hard earned cash on things you simply can't live without but didn't even know you needed until you saw it at the booth beside you. Or across from you. Or on the way to get lunch. 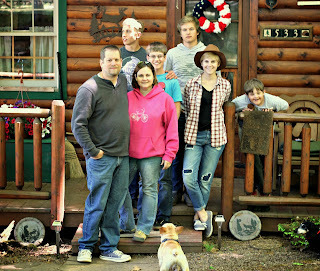 After that, we headed to my parents' cabin for a picnic with my family. The drive there takes us on roads with unparalleled views of the Laurel Highlands. I just love driving those back roads. At the cabin, we had a picnic lunch of the most traditional picnic foods known to Americans. There's something about a holiday that'll make even kielbasa and baked beans taste gourmet. We even managed to get a rare family photo before we left. 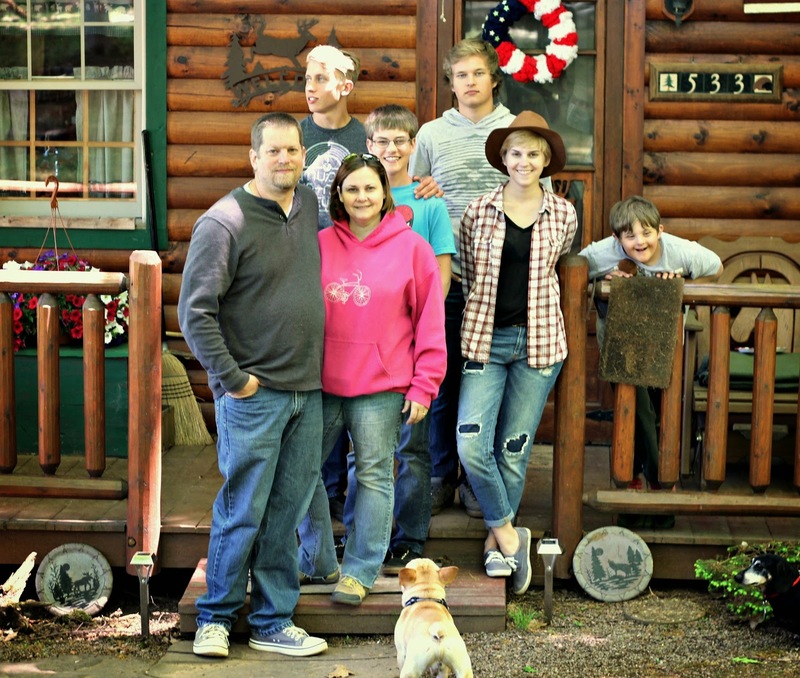 I love getting our family gathered at the door of the cabin so that we can compare from previous years on how we've all grown. The kids gain height. I seem to only gain width. I have learned, however, to stand on things to give myself some height. I know I'm still the shortest in the family, but at least it's not as glaringly obvious as it could be. I hope your holiday will be just as fantastical as ours was, and that you, too, can manage to get a great family photo, because togetherness if the most important thing at holidays. It's the stuff that memories are made of. Sounds like a perfect All-American day! I hope you have more of those this summer.